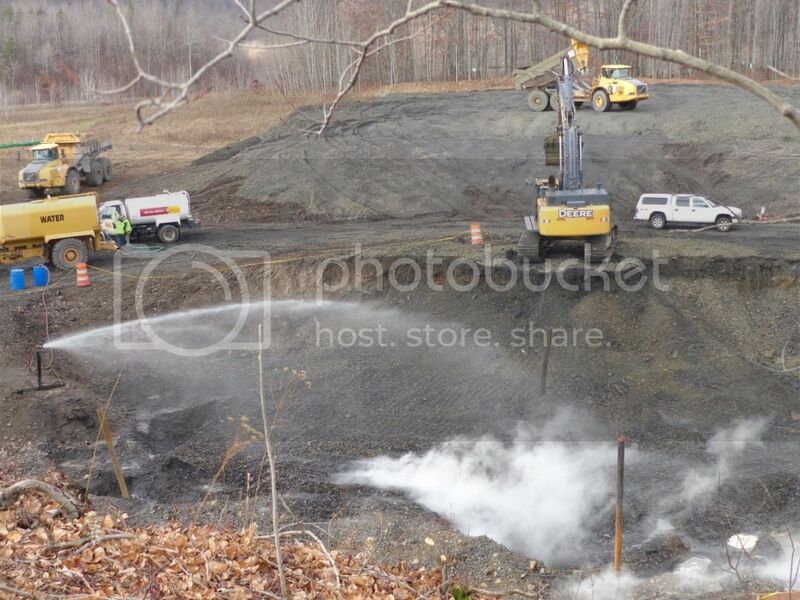 EYNON — Smoke has been pouring from an underground fire in Lackawanna County most of the day as firefighter dig deep trying to put the culm fire out. The underground fire is right near homes in Eynon where we found neighbors worried and crews quickly finding this wasn’t an easy fire to put out. 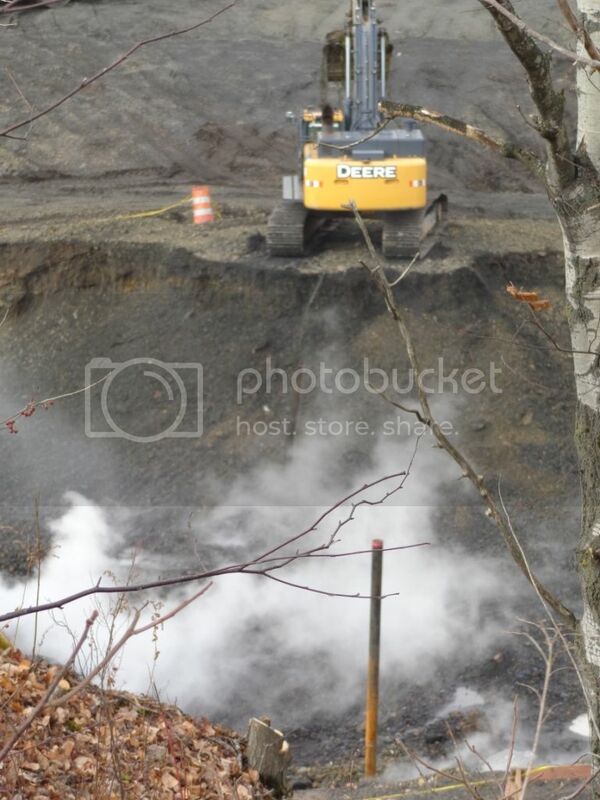 For hours they dug; for hours they sprayed water; and for hours the smoke and steam just kept coming. Firefighters and borough crews spent the day trying to get this underground fire under control at Staback Park in Eynon. This all started with an odor neighbors have smelled, at times, for months. “I was very worried and concerned and we were scared about the odor, too, because I have children,” said Lorie Bonczaiewicz. Bonczaiewicz is glad seeing all the activity to put out the fire, but nervous, too. This is a lot bigger than what she expected when she saw some smoke coming from the ground the past week or so after smelling that odor for a while. “We’d come over here and try to find out where the source was and you couldn’t find the source. As of this morning, with it being colder out, you could see the smoke coming out of the ground,” said Archbald Fire Chief Bob Harvey. 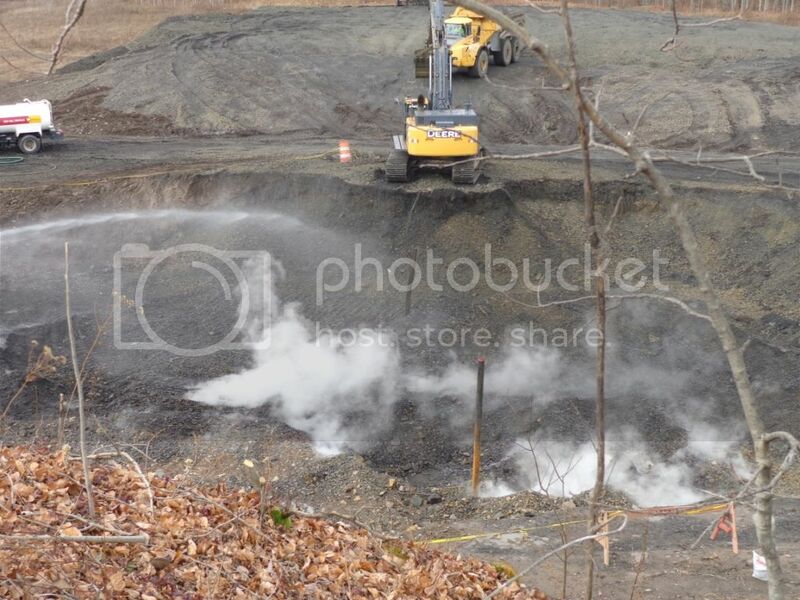 The area is the site of an old coal breaker and all around and underneath the ground is old coal waste. 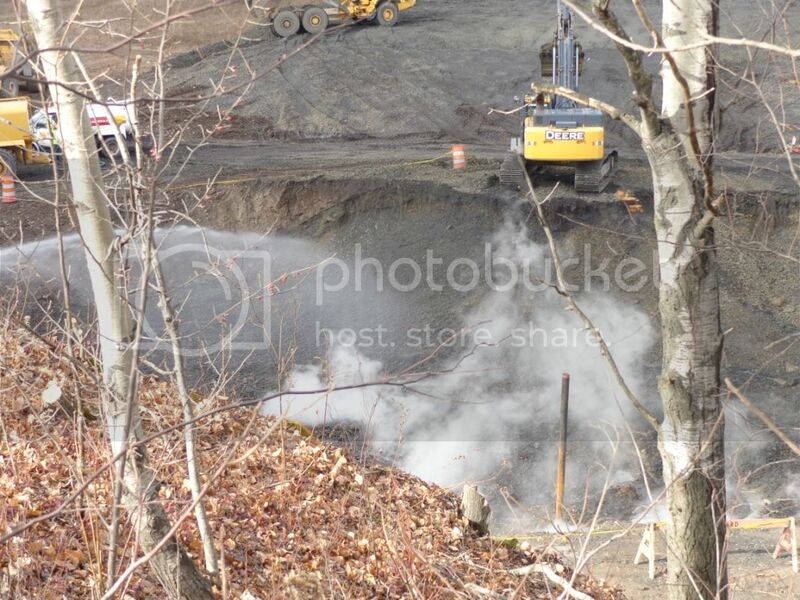 They’ve dug down 25 feet and it’s still burning. “It was hot. 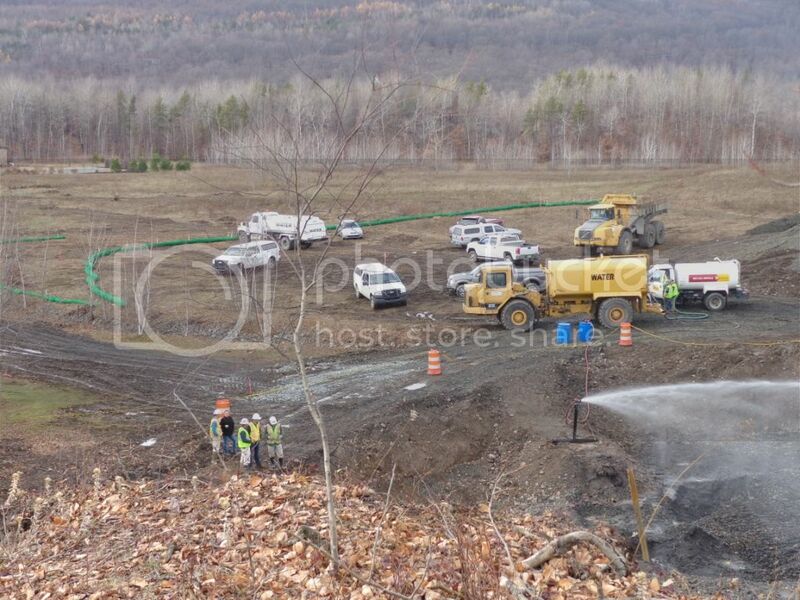 We were getting readings 300, 350 degrees underground here,” said the chief. The Pennsylvania Department of Environmental Protection is giving local officials and firefighters a day to put out the fire. If not, the fire chief says it may become a much larger, state-run operation. Neighbors want to see it out as soon as possible. Everyone does. “We’re trying to dig it out right now and supply the water and trying to catch it before it gets away on us,” Chief Harvey added. Firefighters say they will decide before dark Monday night if they have the fire out. If not, the hole will be filled in and DEP notified to see what comes next. Raymond coal company, northwest breaker. Photos as of today, November 24th. One backhoe working, one little hose spraying on the hole, and the hole itself doesn't look very deep, but it is getting wider. Honestly, it doesn't look like it's being taken that seriously? You guys out in PA need to get your shitz togethor, mine fires all over, cave ins, bore holes and AMD. I just took a break from the gardening and thought i would stop in and say hello. My god, you'd think they'd show some urgency. Any updates on the status of the fire?